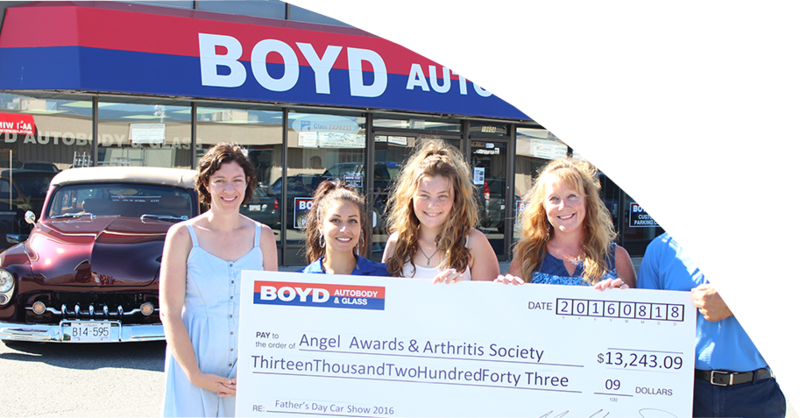 For over 20 years the Okanagan has trusted their collision services to Boyd Autobody & Glass and there is no mystery as to why. We believe in providing exceptional customer service, as well as, the highest quality repairs in the industry. With 17 collision repair centers in British Columbia, and at over 46 locations in Canada and 339 locations in total, we are proud to say we are locally owned and operated from Kelowna to Penticton. Our four Okanagan locations are proven innovators and leaders in what has become the largest operation of collision repair shops in Canada. We continually train our staff to make sure we stay industry leaders. Our technicians are all I-Car Gold certified. We are both accredited by ICBC and private insurance companies such as: Economical, Pro First, Intact, RSA, CNS, CDI, Co-Operators, Wawanesa, ING, AXA , and Aviva. In addition to certifications and accreditation’s, Boyd Autobody & Glass is proud to work with many well known fleet business accounts for their collision repair needs. Some of these partnerships include: Enterprise – Rent – a Car, BC Ambulance, Fed Ex, and Horizon Electric. That is why Boyd Autobody & Glass has been voted #1 by the Okanagan Life Magazine, Gold Medallist with KelownaNow’s Best of, and Business of the year in Kelowna and Penticton as per their relative Chamber. We pride ourselves for being available for your Kelowna Collision, and Penticton Collision needs. We invite you to visit any of our locations for any of your repair needs, conveniently located in the heart of Kelowna on Dayton Street; in Rutland on McCurdy Place; in West Kelowna on Byland Road, and in Penticton on Carmi Ave.. Whether you need our collision repair services or glass repair and replacement work, we will ensure that the repair is done right the first time. At Boyd Autobody & Glass, our company philosophy is simple: "WOW Every Customer... Be the Best". We are a team that is dedicated and committed to our mission, to continuous improvement, and to delivering superior value to our customers. At Boyd we are committed to our community and have a strong relationship with many outstanding organizations. Have a look at some of our most recent community engagements in the Boyd Gives Back news.